Marshall Schwisher, eminent publisher of music. If you live in Florida you are probably more than aware of the beauty of Haden mangoes. Not only are they one of the most fragrant and perfumed kind, but also a Florida cultivar, likely hailing from a cross between a Mulgoba and a turpentine mango. 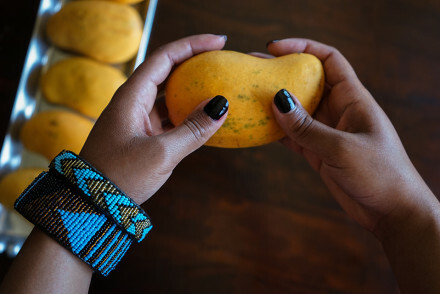 The Mulgoba is one of the earlier mango varietals originating from the south of India and it’s considered by many to be the best tasting in the world. The Mulgoba eventually made its way over to Cuba and then Florida. It is typically a very large, sweet and tasty fruit. Due to its low yield and “ugly” squat shape, it hasn’t been attractive in modern mango cultivation but it’s still one of the most coveted and hard to find fruits in India. 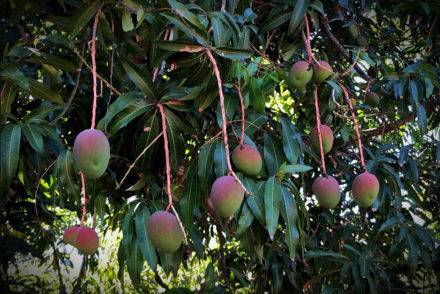 The turpentine (or “jungle mango”, as it is sometime referred to) is small and round, hence why Haden mangoes are actually on the smaller side; it also has a stunted body, like the Mulgoba. The name derives from what many describe as the taste while it’s still green. Turpentine mangoes must be tree-ripened for the sweet taste to come forward. When ripe, it is an exceptionally sweet, nonfibrous fruit, something extraordinary that you will only really find in the jungles of the world! The combination of the Mulgoba and the jungle mango gave way to the Haden. For a long time, the Haden was one of the most cultivated varieties in the world; this is slowly changing though, with larger productions and monocropping bringing unforeseen issues. Hadens are very susceptible to fungus problems, internal breakdown (jelly seed) and skin issues; additionally, they generally don’t take well to the hot water treatment required by the USDA for imported mangoes. With a shorter shelf life and a predominantly smaller size, this mango is definitely the most challenging one for the USA market, from a supplier’s point of view. It is, however, for those that know it, an all-time favorite, and will probably be yours as well when you taste it. 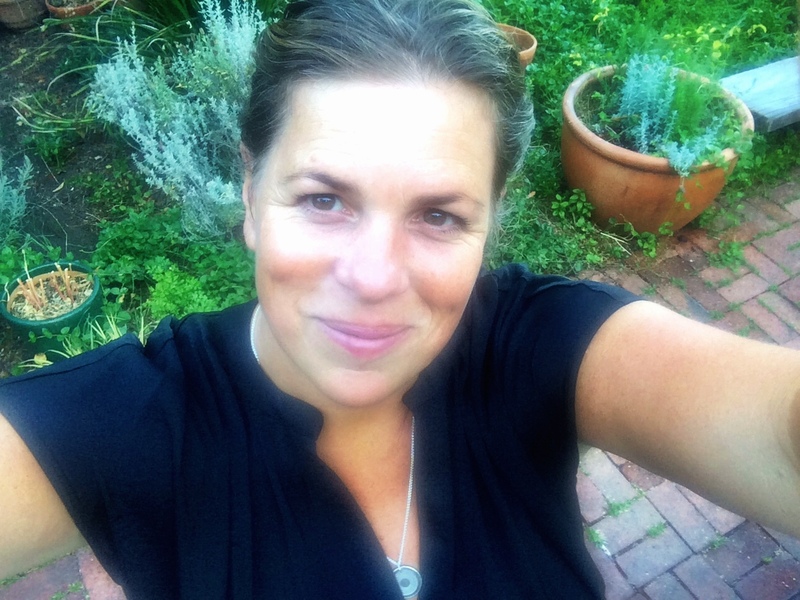 Hopefully, as more attention is given to the health of the trees and quality of the fruit, while adding favorable weather conditions, we will see more seasons where the Haden can thrive in our market. This one is definitely one of those seasons bringing an excellent quality fruit, caused partly by a warm El Niño and probably also just luck. Sizing is still on the small size, though, which is not as favorable for the marketplace, but it’s definitely doable with the right push, persuasion and sales force! The Haden is a voluptuous mango. Its sweetness is unprecedented for a round mango and it’s unusually sweet when green, becoming even sweeter as it develops through each of the ripening stages. Its creamy and nearly nonfibrous flesh melts in your mouth, with a slightly floral and “perfumy”, sweet flavor. 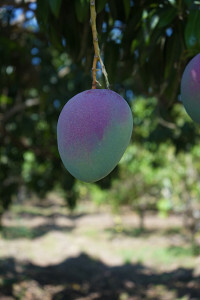 Although they are hard to tell apart from the Tommy Atkins mangoes (specially during the green stage), they often have a more crimson than red blush to the green, and very apparent white freckles all over, like the Keitt variety (which is just green or greenish yellow, with no red coloring). 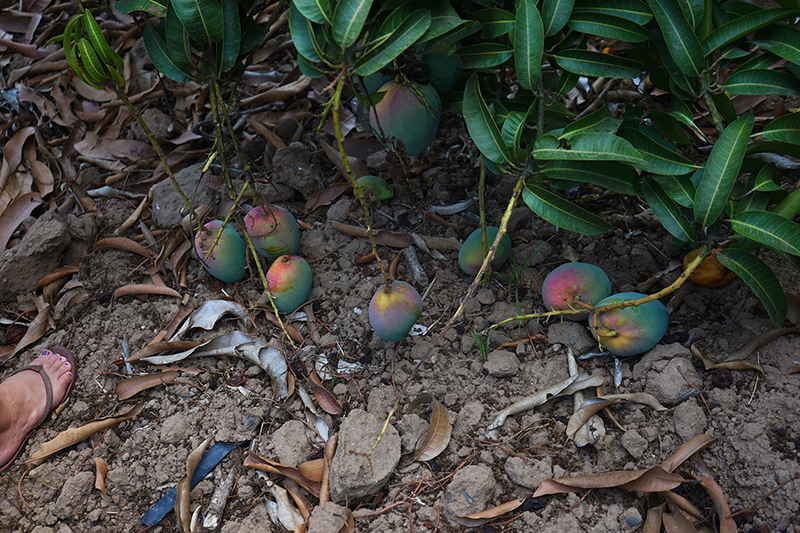 As the Haden mango ripens, the skin turns a deep golden yellow with crimson red, pink and orange blush tones. When totally ripe, it usually has no green hues in it, unlike the Tommy Atkins. You might want to pass on the Hadens if you are making a green mango salad or chutney, or if you want the tang of mango, as it basically has none. 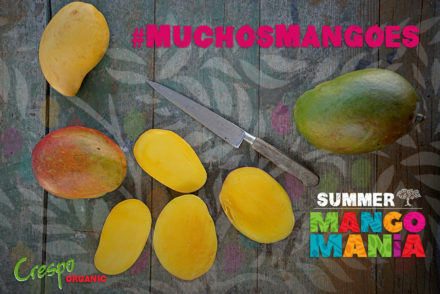 They will be one of your favorite cooking mangoes, and they’re also perfect for baby food, being sweet, nutritious and nearly nonfibrous. 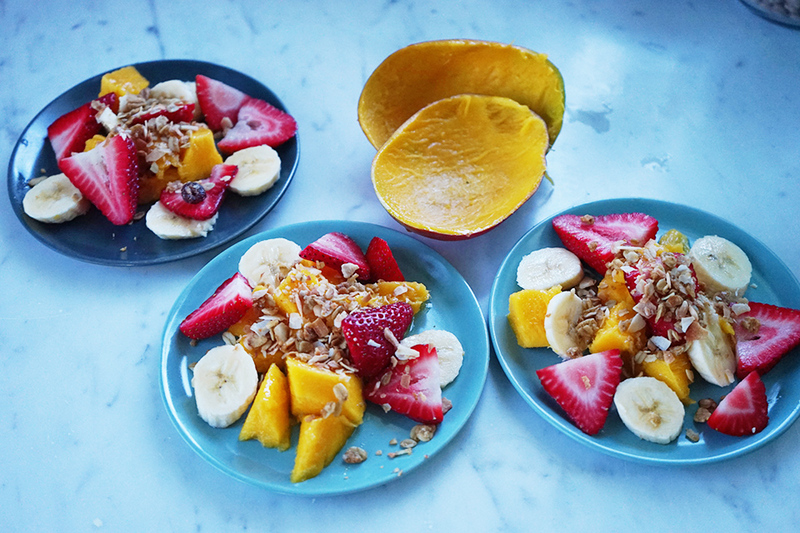 All the mango varietals that we see at the grocery store have a right place and use, in my opinion. The Tommy Atkins, certainly a favorite among the growers and exporters, is known for its hearty skin and long shelf life. It has a lot of fibers, but for those like me who prefer a little tang in their mangoes, it’s a good choice for a not too overly sweet snack. My sweet tooth is underdeveloped compared to most people’s, though, which is why the majority like Haden mangoes. My advice is to remember they are not readily available all the time, they are hard to grow and keep in high quality specs. So when you see them, covet them and use them sweetly. Diversity is key in the kitchen so when they are gone, let them go! 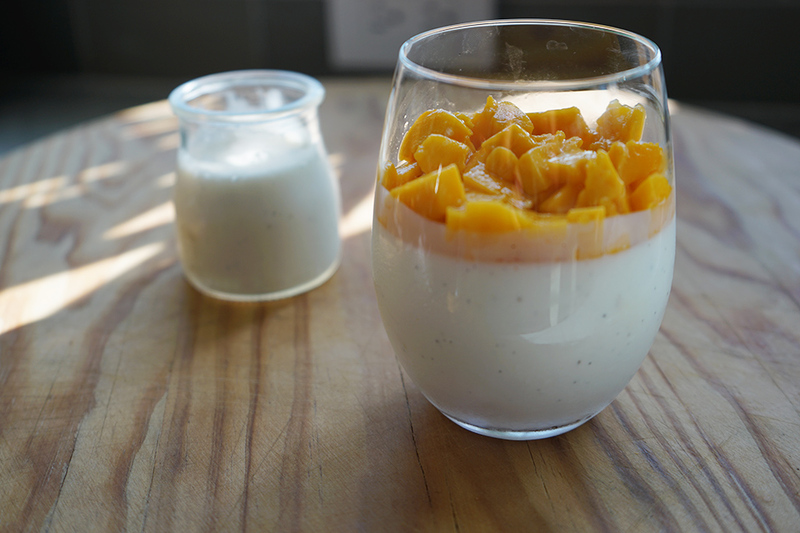 Personally, I like to enjoy Hadens in a healthy Mango Breakfast Sundae (with granola, bananas and yogurt), or atop a healthy Yogurt Panna Cotta.